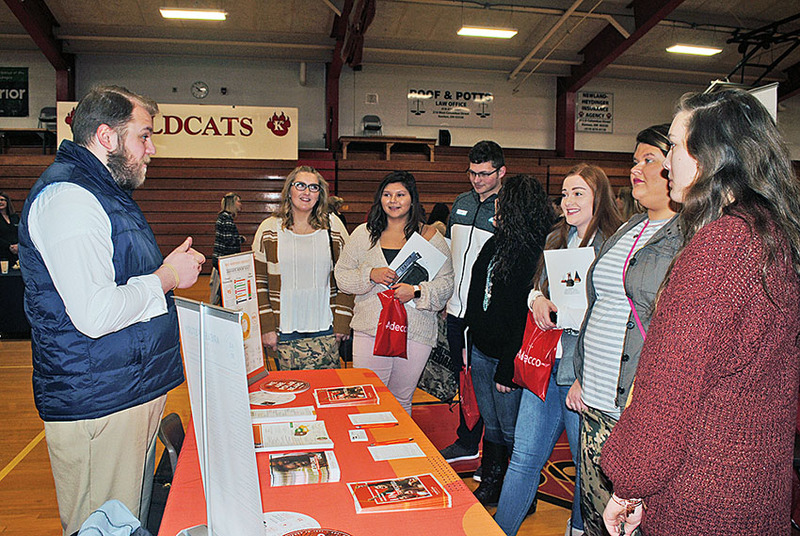 Wade Rhoades of Ohio Northern University talks with a group of students during the Student Job and Career Fair at Kenton High School on Tuesday. There were 29 businesses whose representatives talked to junior and senior students about their futures during the event, which is sponsored by the Hardin County Chamber and Business Alliance. Students participating came from Ridgemont, Kenton, Hardin Northern, Riverdale, Ada and Upper Scioto Valley.